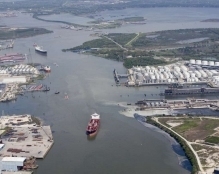 Last Friday 22nd March, the Houston Ship Channel was closed due to a contaminants spill from Mitsui's Intercontinental Terminals Co. in Deer Park and the Houston Pilots suspended all vessel movements through the Channel from 12.40 pm local time. The Channel is the conduit for all ocean-going vessels passing between Houston area energy terminals and the Gulf of Mexico. Some 60 + vessels have been held up, either waiting to pass through the Channel to proceed up river to load cargo, or at terminals unable to commence laden voyages. Currently, it is not known when the Channel will completely re-open. We have been instructed by a number of Owners, Charterers and Traders affected by the closure; who have Vessels waiting to load Petcoke and Coal cargoes etc, and/or have sales contact obligations to delivery commodities ex-Houston. In this situation Force Majeure clauses in charterparties and sales contracts come under close scrutiny. Problems can arise if a trader does not have back-to-back Force Majeure provisions in a charterparty and sale contract, such that the performing Vessel might be excused late arrival at the loading berth whilst the charterer might be in breach of an underlying sale contract. In the present case, a Charterer client was surprised to discover that its obligation was not to only ship cargo from Houston (which it presently cannot do) but was in fact to provide the Vessel with a cargo from any US Gulf port, denying the client the protection of the Force Majeure clause in the fixture recap. Under English law, Force Majeure clauses are not implied into contracts. They must be expressly included and then only operate as per their precise wording. Whilst they are often thought of as boilerplate, or not thought about at all, an incident such as the sudden, unexpected closure of a major shipping channel in one of the world’s busiest ports, is a sharp reminder of their value and importance as a necessary ‘fall back’ for a party which cannot perform its obligations.